The IT Career Studio is 100% dedicated to IT professionals. From entry-level tech support to Fortune 100 technology executives, we are dedicated to helping IT professionals like you advance your career with high-impact resumes that get results. 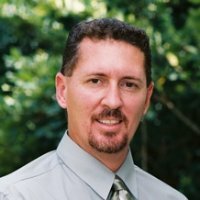 We are owned and operated by Kevin Morris, a truly unique and innovative writer who has helped more than 1000 IT professionals distinguish themselves in the highly competitive IT job market. Kevin is a Nationally Certified Resume Writer, Certified Personal Branding Strategist, nationally recognized IT resume expert, and former President of the National Resume Writers Association whose work has been featured in Resumes That Knock Em Dead and the 4th edition of the bestselling book, Resume Magic. Kevin is an industry leading expert on IT resumes and experienced with every level of client (from entry-level through Fortune 100 executives). As one of the world's premier resume writers, he has helped more than 1000 IT professionals achieve job search success by integrating resume best practices, intimate knowledge of the IT job market, and an uncompromising commitment to customer service. "I only succeed when you succeed, and I'm with you every step of the way to make sure deliverables meet your exact career needs and help you achieve the success you desire today." Equally dedicated to his profession, he has served as President of the National Resume Writers Association (NRWA) and esteemed member of the Nationally Certified Resume Writer (NCRW) Certification committee. Kevin was a featured speaker on IT resume writing at the 2008 NRWA national conference and advises fellow professional resume writers on a range of IT topics.